I always dream of becoming a motivational speaker since I was 21 years old as my profession – to inspire and motivate people to keep pursuing their dream; to love what they are doing and living out their lives to the fullest potential! 19 years holding onto this dream, 2018 is a special year for me as there is a higher probability to move from where I am to where I want to be. Why is it a higher probability? Because I took the courage to enroll into the CCE and ICA Certified Coach Skills (Career Coaching) Program which has helped me greatly to understand myself better and to develop a more concrete plan using ideas contributed by my various coaches. I graduated with a degree in Business Administration and was hired as a Personal Banker in a US bank even before I graduated from my honors. 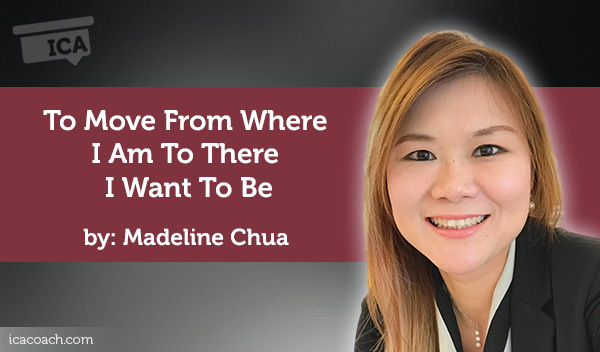 Since then, I spent 16 years in the banking industry, moving from sales to customer service, to compliance / processes / training and eventually I have landed myself in an European Bank as a Compliance Trainer in APAC Learning & Development Team for the past 4 years. I see myself in a transition phase in my current bank as I am a Compliance Trainer but under the Learning & Development Function. It has its pros and cons but one factor I am very thankful for, is that I have more exposure to other training aspects such as conduct, respect for colleagues, anti-harassment policies, diversity and inclusion etc which are helping me to move towards being a motivational speaker and a soft-skills trainer versus if I were a trainer under the Compliance function. I have expressed interest to my boss to being a full-time soft skills trainer and in-house certified coach however there’s no headcount for such a position. My boss is supportive of the new skills I want to acquire and areas which I want to contribute but it cannot be at the expense of giving up my current portfolio of being a compliance trainer and compliance programme manager. I then spoke to a few coaches to seek their advice on how do I move from where I am to where I want to be. Specifically, I want to learn how to convince my boss to create this new position for me in my 3rd presentation to him in June 2018 during my mid-year appraisal with him. In total I spoke to 5 coaches on this problem which I am facing. My observations were that different coaches were aware of their strengths and had used their strengths as one of their coaching styles to bring me to the same action plans. In summary, the Coaching Models Used are StrengthsFinder; Values & Life Purpose; SMART; Creating Action and the Coaching Skills applied are Active Listening , Powerful Questioning and Visualization. As Sing Meng’s top 3 strengths are Arranger, Responsibility and Discipline and he’s a technical production manager, it’s very natural for him to coach me using the SMART model in a very systematic way. 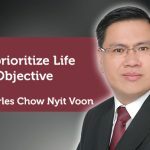 He asked me for the end goal which I am trying to achieve; what are the issues I am facing and for each issue I am facing, to list down what are the smaller goals I can set for myself to achieve. Jan 2019 – fully recognized as a soft skill trainer and practicing certified career coach in my company. Gordon was formally in a senior management position in the banking industry hence his view is more macro. He asked me to list down my current job scope in percentage to understand better what I am doing. His suggestion to me is slightly different from Sing Meng as he knows that it will be pretty difficult to create a brand new position in the banking industry, initiated by an employee. 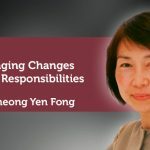 Therefore, to keep me motivated in my current job scope, he asked me a series of powerful questionswhich expanded my thinking – how do I blend in the coaching element in my existing programmes? And I was able to list down a few programmes which I can embed the coaching elements. 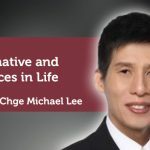 For example, after the Conduct webinar, I can follow up with the attendees to check if they require in coaching of their core value system as I would have explained the importance of it and how values drive our thinking and action. 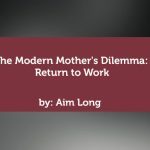 Through this way, I can explore their underlying beliefs too and try to align their personal values with company values to achieve a higher job satisfaction at work. Results of train-the-trainer programme where I train compliance colleagues to take over my current compliance training to train new joiners. Maximizer and Activator – I push people to get started and to inspire them to become the best they can be. Success is always about speed and excellence. Maximizer and Belief – I have clear and high standards for ethics and quality. I hate it when either truth or excellence is compromised. Belief / Activator – passionate about what I believe and impatient with doing nothing. I push myself and others to practice what we preach. This explains why I can get upset if people are not doing their best or giving slip shod work as I am someone with a spirit of excellence. It also explains why I am good at getting things started, to turn ideas into actions though I am not be that good in following through. At the end of the sessions, I am more confident than before because I see a greater clarity and to develop a more concrete plan to move from where I am now to where I want to be. 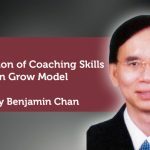 From the visualization of the big picture to the smallest details of goal setting coupled with a greater level of self-awareness, these factors have helped me to apply these coaching skills on my coachees. And just as how coaching has benefitted me through this CCE programme, I am really looking forward to develop my own coaching model to help more coachees to move from where they are to where they want to be, because I truly believe that we all have only one life to be and we are to live out to our fullest potential. And that being said, you know that I am someone with a strong belief, a maximizer and an activator!